‘The route, service, support, hotels, food, attention to detail, and general back-breaking hard work done by La Fuga and the guides were second to none and, more often than not, beyond the call of duty and expectation. The fact the group were always looking out for each other, offering a wheel to shelter behind and some words of encouragement, will live long in the memory’. La Fuga is entering Spring with an irresistible offer that is sure to keep you going during the last legs of winter. We are sharing our love of riding by offering you, and a friend, an incredible discount of £1000 on our ‘Randonnée Originals’: The Pyrénees, Alps and Appennini. You and a friend can take advantage of this amazing offer if you book together between 07/02/2013 and 07/03/2013, and if booking on the same qualifying trip, each will receive £500 discount. More detailed terms and conditions to be found below. All three Randonnée Originals pack a real riding punch, and in our previous experience groups who become Randonneurs together stay lifelong buddies. So we know that our trips are perfect experiences to share, after all, how great it is to have friends there to support you 20k into a hard climb!? Share our newsletter with a friend, Like and share it on Facebook and join in the conversation by Tweeting it loud and clear and take advantage of this amazing Share your #lovetoride offer. 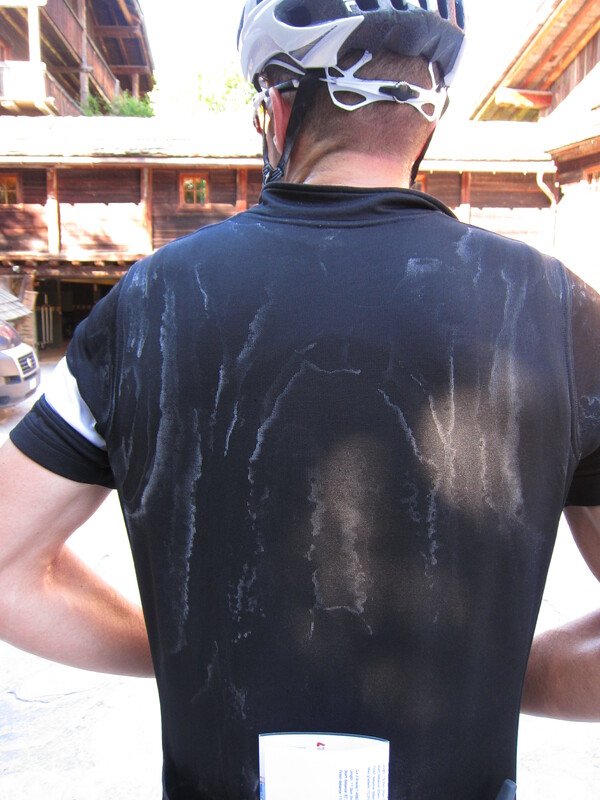 ‘Extraordinary biking, perfect weather, outstanding support from the Fuga team. I was greatly impressed by the team spirit, the cohesiveness of strangers to accomplish a common goal, and as Fuga promotes, an ethos that characterizes the spirit of the Randonnnée and the Raid du Pyrénées’. Our Original Randonnées are tests of your adventurous spirit, determination and physical endurance. Our carefully designed routes will take you on an exploration like no other, traversing some of the most beautiful and historic roads and mountain passes in Europe. The La Fuga Original Randonnées are both demanding and rewarding , giving you the opportunity to experience the highs and lows commonly seen in a professional stage race. On a good day you’ll feel like Pantani and as if you’re floating over the tarmac but, on a bad day, it’ll be a struggle to get out of bed and tackle the road ahead. However, it’s on these bad days where the La Fuga Ethos comes into it’s own: On a strong day be generous and offer the help that you’ll so gratefully accept on a low day. The Randonnée is not a race, there will be no individual winner, but there is a unique sense of having achieved something colossal when you work together with your fellow Randonneurs to complete these epic events. Read more about our Randonnées. Offer valid only between the 07/02/2013 until 07/03/2013. Offer only valid if two people book on the same trip between above dates. Offer valid for Alpine, Appennini and Pyrenees only. After the deposit has been paid, each person will receive £500 off their final balance. No refund will be offered for cancellation after deposit received. 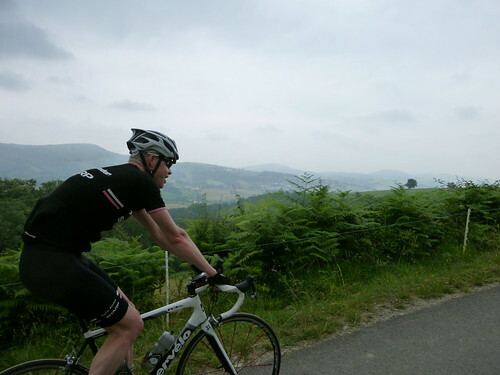 Places on the 2011 Rapha Randonnées are selling out fast. See here for more information about amazing routes, luxury accommodation, and booking information for the riding trip of a lifetime. Che Bello! 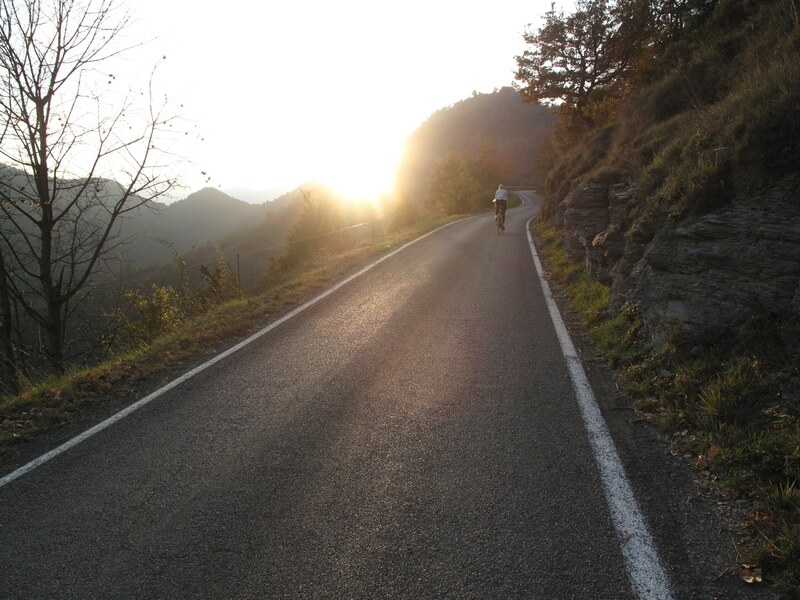 Sol’e, Sol’e, Sol’e, for six days of riding the Rapha Randonnee Apennini 2011 from Lucca to Ascoli-Piceno. Our group could not have asked for better weather from the moment they landed in Pisa to the final descent of the final day. In Ascoli’s historic piazza the Prosecco was flowing as the Randonneurs celebrated a magnificent spiritual experience amongst the natural beauty of central Italy. By the end of the first night, after tasting some exquisite wine and salumi antipasti in the historic centre of Lucca, our guests shared stories of cycling legends past and present. The Randonneur spirit was soon established and grew even stronger over the course of the week as the group overcame the challenges of the demanding route. Day 1 set the tone for the week with a great route passing through Collodi, the home of Pinocchio, and featured probably the toughest climb of the whole Randonnée, the infamous San Pellegrino in Alpi, an Hors Category finish of more than 18%. This proved an early test of legs for the riders and an equally stiff challenge for the clutches of our support vehicles. The group was rewarded with spectacularly clear views and a high altitude lunch stop with typical prosciutto crudo pannini, mozzarella, pomodori and the largest strawberries bought from the local market. The day finished with a couple of smaller ‘bumps’ and a scenic descent to the spa hotel and wellness centre at Poretta Terme. Refuelling that night came in the form of a great tartufi pasta: so simple but so delicious. Day 2 to Stia featured two main climbs past stunning lake features and across dams sunk into the natural valleys of the Appennini. After successfully scaling the Passo della Futa, our lunch stop amongst the cipressi, near Galliano just north of Florence, was only made better by the succulent porchetta served. The fast descent down the Croce del Mori region had everyone on their guard before arriving at the hotel to a magnum of Nipozzano Chianti Riserva 2006 to ease the pain of aching legs. On Tuesday’s third stage, we were joined by a special guest to help pull us up Monte Carpegna. Local ex-pat dilettante, Simon Holt, took a couple of days off from training with his racing team near Arrezzo to join our assault on the climb synonymous with the legendary Marco Pantani. Everyone took a minute to pay their respects to the memorial situated at the foot of the demanding climb. Unfortunately the climbing wasn’t done after reaching our hotel in Urbino; certain individuals (no names) were ‘dropped’ on the cobbled 20% walk to the restaurant on the stunning Romanesque and Gothic central piazza in Urbino. On day 4 to Gubbio, the morning offered a rare chance to enjoy some flat riding followed by coffee in the market town of Cagli, under a beating sun. Cappucini and espressi doppie set us up nicely for the two big lumps of the day. Monte Petrano afforded wonderful views back to the yesterday’s climb of Monte Carpegna. The heat on Monte Nerone required everyone to stay well hydrated to avoid wilting in the full force of the Umbrian sun. The final section of the day saw us tackle the strade bianche around Monte Cerrone. With the heat of the day starting to diminish, the sun gently caressed our legs on the approach to the spacious former monastery of Ai Cappucini in Gubbio. That evening we enjoyed an excellent feast and animated discussion about our good and not so good bike handling skills on such tough, yet exciting terrain – and only one puncture too! Even though fatigue had started to show, our morale was boosted by the presentation to our guests of the Rapha Randonnée Appennini Tricolore shirts. Bellissimi! Discussion over breakfast the next day revolved around tactics for approaching the 1400m high Monte Catria. The steep, tight and twisty descent, 20% in places, paved the way to a fully laiden lunch stop and sugar replenishment in the form of a crostata marmellata and enough energy to complete the day’s ride. The final section turned into a turned into a 50km/hr white knuckle ride, flat out through and off before quickly reaching our Roman villa at Borgo Lanciano, where some weary legs were instantly transformed by massage and a laze around the pool in the sun. After catching the finale of the day’s Giro stage, we tucked into yet another great four course dinner, complemented by some Lacrima di Moro d’Alba chosen by a certain guest with a refined nose, a necessary anaesthetic which hit the spot nicely. Wow, what a day to Ascoli-Piceno, no-one wanted it to finish! So they dragged it out with a few beer stops… why not? Fully deserved guys. A series of climbs helped us across the Siblinini mountains, a vast area supporting agriculture and immense mountain views making us feel small and insignificant. The presence of wild boars on the side of the road explained the great salsiccia cinghiale we noshed on for antipasti that night. On the last day we were all dressed in our Rapha Randonnée Tricolore jerseys, like the professional Randonnée team we had become. Singing along the Forca di Presta on smooth and sweeping roads with clear skies… we took one last beer stop! In green, white and red, we were lucid (yet safe) on the descent. Our choreographed arrival across the piazza like Italian arrows swerving through the locals, and our final destination of the week was accompanied by a sacco di prosecco to celebrate a wonderful Rapha Appennini Randonnee in all respects. After 823km of beautiful roads and 15,800m climbing, eight randonneurs had bonded, motivated each other, been touched by the emotional achievement and satisfied by the physical challenge of crossing the Appennini in six days. They shared the ups and downs (literally) and helped each other through some great days riding in Italy, to be remembered forever. Our hotel for the first evening was the fantastic Hotel Du Palais. A 5 star affair with 3 restaurants, everything in this place was elegance and I would like to take a little time to describe the thing that hit me most…the breakfast. I’ve had a few breakfasts in my time, large and small, but frankly I have never seen anything quite like the spread offered at the Hotel Du Palais, anything you could imagine eating for breakfast was on offer, it would take you at least a week to sample everything. But the riders didn’t have a week. They were down to load up on the necessary (if not very tasty) fuels that would carry them across the first stage. On the itinerary was a warm up stage, taking in some smaller, but by no means easy hills before we reached the high mountains. The weather had been nice in the morning but the sky became greyer as a weather front that would prove to be the bane of our lives moved in. Unfortunately before we started one of the team had been ill the night before and decided to sit this one out with the hope of rejoining the ride at a later stage. Spirits seemingly undampened by this occurrence, he sportingly helped our guide in the advanced car make sandwiches and set-up the days lunch stop. After the ceremonial dipping of the rear wheel in the Atlantic, the riders quickly settled into a nice riding rhythm getting to know each other on the flat before conversation ceased when the road reared upwards. The mood was jovial at the lunch stop with much talk of the “col de goat track” which involved a 17% rise with a droppings spotted descent. With rain intermittent and the roads constantly rolling up and down (the French use the term usant), by the time our riders reached the hotel everyone was ready for some well earned rest and food. A physio stop was the order of the evening for one of the riders as he was having trouble with his neck and back. An hour on the table soon put him straight and after a glass of red he was ready and raring for the next day. The Hotel Du Palais was always going to be hard to top, but the hotel Alysson keenly offered us what was necessary to prepare for what was to be the first real test of our riders’ grit. And what a test! With the frighteningly steep Marie Blanque and the ferociously long Aubisque on the menu with a ten side orders of rain, the day was set to become both a physical and mental challenge. Once again the same member of the crew struggled with stomach upset during the night and decided it wasn’t worth antagonising things by putting such demand on his body. But once again he helped with the making of the lunch stop sandwiches whilst our guide regaled interesting (if not slightly embellished) stories of racing around France. The first two small cols of the Lie and Ichere got our riders legs warmed up for the first big test of the trip. The Col de Marie Blanque is reputed as one of the hardest climbs there is by many (me included). At 9km it is nowhere near the longest, but it has a fierce sting in its tail. The last three kilometres rear up ahead of you at gradients of 11%, 13% and finally 12%. The road straightens out and you can see how much pain you will be in and for exactly how long, it is unrelenting. The rain made things even more unpleasant for the riders but all reached the summit ready for more. The same couldn’t perhaps be said by the time they reached the foot of the descent. Sodden kit and soaked roads made what is usually a fantastic drop not much fun at all. Our guides did what they could to warm them up with changes of clothes and Rapha raincapes, gillets and booties being dished out as well as a much appreciated café stop. It wasn’t long though before everyone started to warm up again on the ascent of the Col d’Aubisque. This 19km beast reared its ugly (actually it’s quite beautiful) head as the first hors category climb of the journey. The weather got worse as we reached the top, with visibility becoming less and less as the clouds became thick and the temperature dropped. By the time everyone reached the top the wind had made things bitterly cold and everyone spent some time in the cars with heating on full blast to try and prepare for the descent into our arrival town of Saint Savin. Thankfully the weather relented somewhat on the descent and everyone made it safely to base. Dinner was served by the celebrity master chef, Jean-Pierre Saint-Martin and was thoroughly enjoyed by all, even after some confusion as to which side of the plate we were supposed to take our bread from (A matter gruffly settled by the waitress). The extra pasta they served was so good that we kept it for the next day; they even served some for breakfast! After a good night’s sleep, and a tasty breakfast (boiled eggs were a welcome addition…..as well as the pasta of course) our riders were ready for another tough day in the saddle. Our guest with stomach problems had decided enough was enough and decided to fly back and concentrate on getting well again. We thanked him for his sterling demeanour in the face of difficulty as he never once complained and was very willing to chip in to help our guides. For the outset the bad weather had laid off somewhat leaving damp roads and gushing streams. The riders span their sore legs out on the drag up to the foot of the legendary Col du Tourmalet. Here the sun was shining and everyone shed a few layers for the long ascent. The scenery here was spectacular, so much so that it was hard to concentrate on the road in front of you as it wound up the valley towards the sheer cliffed summit where snow still remained in the nooks of the high mountain. Everyone was happy to reach the summit though, but not so happy to start the descent as once again the bad weather had moved in making it somewhat unpleasant (especially without gloves as one of our hapless guides quickly discovered). It made things reminiscent of Octave Lapize’s statement of “vous etes des assasins” at the Tour de France in 1910 after scaling the Tourmalet completely drunk with fatigue. 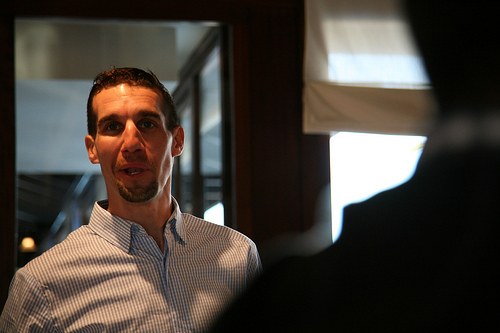 Hopefully we didn’t force any of our riders into such a state (and if we did they were incapable of telling us!). By the bottom though the temperature had increased to a balmy pleasantness and the rain had stopped, leaving some dry roads. This left us with one last test, the Col de Peyresourde. Here the road climbed with the valley in more of less a straight line with a few twists and turns on the way, the gradient usually at a steady 7% with a few deviations. Here one of our riders got into some difficulty, suffering all the way up the hill. For the last few kilometres the rain once again made an appearance and his expletives became more and more frequent. Our guide however remained diligent and buoyed the rider all the way to the top. The descent into Luchon was perhaps the worst yet, with the rain pouring and long straights that encouraged you to gain speed only to scare the hell out of you with a dangerous corner. Everyone was relieved to make it down safely and dry off for the next day’s events. After making use of the hotels superb drying facilities, our riders were ready for an easier day and so we acquiesced to this request with a shorter stage to St Girons. Affaires didn’t start easily though as our riders were straight into the Col du Portillon. 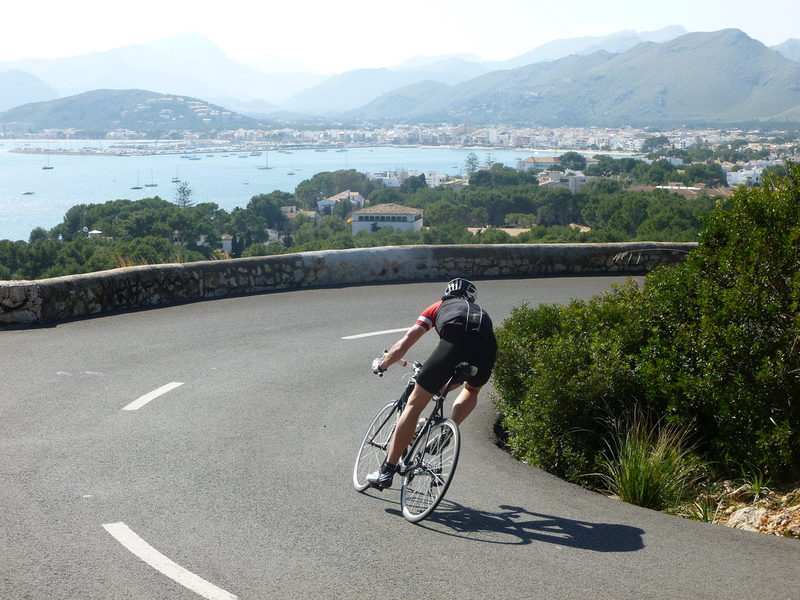 Fortunately this climb is so beautiful you almost forget you are riding uphill…..almost. Today the weather had really relented and finally the views were there for all to see. A quick drop into Spain before a sprint for the sign for France brought us to our scenic lunch stop by the river enjoyed for the first time in comfortable temperatures. Two more climbs of the Col de Menthe and the Col de Portet d’Aspet were easily (well at least with less difficulty) overcome and the riders descended into St Girons to the fantastically quaint ‘Chateau de Beauregard’ which was to be our place of rest for the evening. A converted Chateau, this hotel was decked out with period furniture with gorgeous wooden beams traversing the building adding a special atmosphere to the rooms. This was amplified by the superb spa that had been added, giving our riders chance to enjoy a steam room and Jacuzzi and generally unwind before taking advantage of the massage that had been organised for each rider. The Restaurant was just as spectacular, set in a converted barn with an open wood fire warming the cauldron of soup, the ambience was the perfect way for our riders to enjoy an extremely tasty meal, once the obstacle of the menu had been hurdled! The bottle of gorgeously smooth red wine topped things off and a thoroughly enjoyable evening was followed by a good night’s sleep. This day was the queen’s stage. 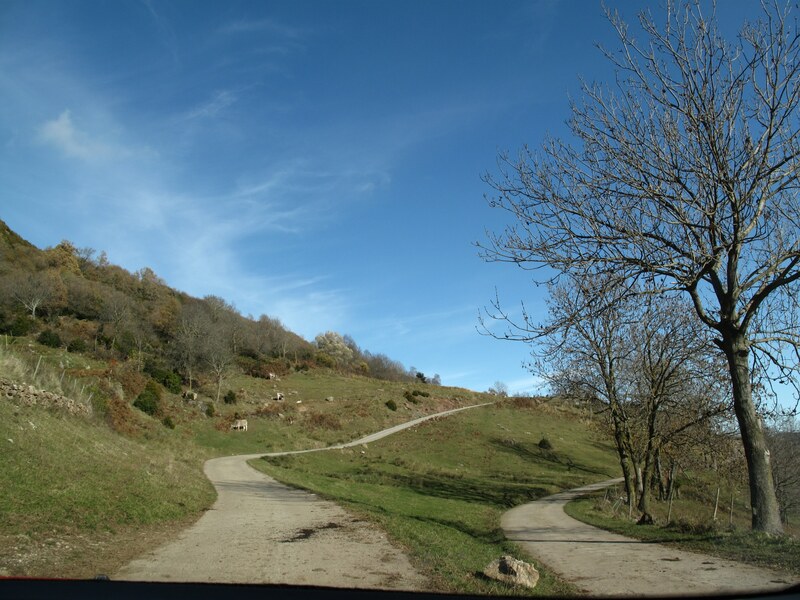 With the distance topping 100 miles and the final hors category climb of the Port de Pailheres to be tackled, if our riders could get over this, it was downhill all the way to the finish…..well….almost. Early on everyone was feeling the toll of the kilometres building in their legs but soldiered on up the Col de Port which seemed like a molehill compared to what had been previously climbed. After a quick lunch snack the riders moved on trying to keep moving on what was set to be a long day. 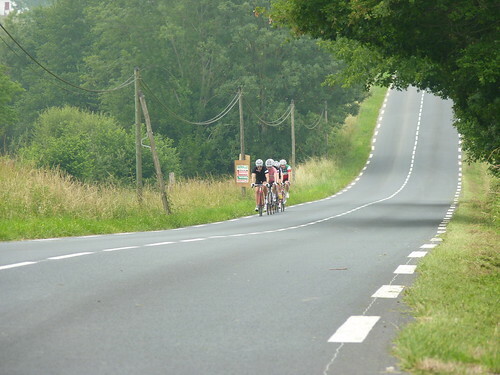 As a result the k’s were quickly eaten up and the riders were soon on the ascent of the Port de Pailheres. At a touch over 2000m, this climb offered 18,6km of pain. With a pizza stop part way up the bad weather had moved in for the umpteenth time and the riders were keen to press on to the top. They managed this only to be slowed down by a heard of very large cows casually walking down the road towards us. One rider was even charged a couple of times, perhaps due to the eyes painted on his one piece handle bars? Who knows? Fortunately he survived the episode and used the adrenaline boost to charge to the top. More pizza awaited the riders at the top, which was covered in a thick fog. A cold tricky descent got warmer and warmer and less and less tricky letting our riders enjoy a long 40km/h run to our penultimate stop in the heart of one of the valleys. Another quaint building in a small town, our guide spent some time explaining to the locals why he was making a small picnic in the hotel car park. They seemed pleased enough with his response and carried on with their walk around the village. The riders seemed pleased enough with his picnic as well devouring most of it after a long day in the saddle. Dinner was another triumph, with the pièce de résistance coming in the form of a ‘tarte aux pommes’ with a nice sauce and ice cream, hastily gobbled down by our ravenous randonneurs. The end was in site, a measly 130km to be covered and a minute 1,500m to be scaled. The sun had finally come out for good and everyone could enjoy the ride to the med. 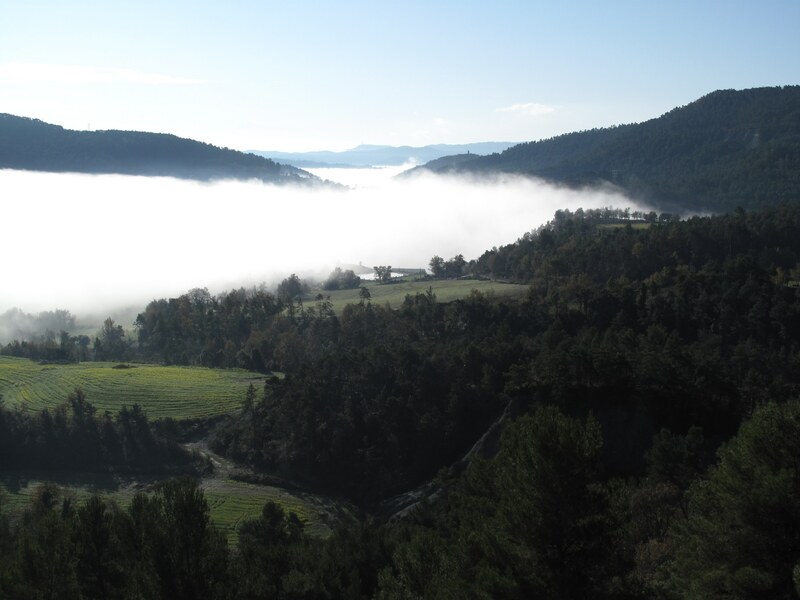 After leaving the hotel and climbing steadily for a few kilometres we were greeted with superb views as the landscape changed from rugged mountains to more rolling hills. The first descent was a joy with sweeping bends and some longer straights, constantly keeping you on your toes without making you work too hard. Another short climb gave us our first view of the Mediterranean and spirits were jovial. We descended into the valley to face our last test. The Col Palomere is not particularly steep, but it drags on and on for 20km and with 700km in the legs as well as several of the toughest cols around, it’s needless to say our riders were happy when it was over. Now we could enjoy the drop down to sea level with relative comfort although the roads deteriorated somewhat leaving everyone was painful rear ends. But after much hardship we arrived at our destination, Collioure. The ceremonial dipping of the front wheel in the Mediterranean was performed and everyone enjoyed a glass of champagne with some strawberries whilst savouring the moment in the sun. To top a fantastic trip, dinner was served in a Michelin starred restaurant overlooking the port and out to the sea. Everyone shared and reshared their stories, recounting the times of hardship, suffering and occasional unabated swearing. The journey had indeed been an epic adventure; the route alone was fearsome, coupled with the weather it turned out as one of the most gruelling rides possible. All the riders can be proud to complete it and we look forwards to seeing them again on another of our trips.